President Trump and Attorney General Jeff Sessions are no longer on speaking terms, according to a new POLITICO report. Trump has reportedly told advisers he has no desire to speak to Sessions after he began taking aim at him last week, revealing he "would have picked somebody else" as attorney general had he known Sessions was going to recuse himself from the ongoing investigation into Russia's role in the 2016 election. Since that initial announcement, Trump has continued to publicly berate Sessions -- calling him "beleaguered" and noting his "VERY weak position" on "Clinton crimes. Trump added to his public shaming of the attorney general on Wednesday morning when he questioned why Sessions didn't replace Andrew McCabe as FBI director. According to people close to Sessions, the attorney general has made sure the White House understands he intends to stay in his Department of Justice role, but has not communicated that himself directly to the president. 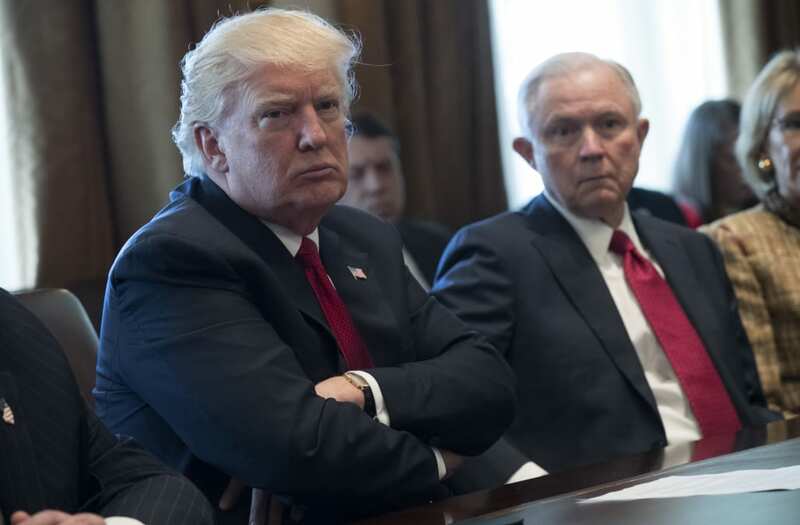 "I told you before: I'm very disappointed in my attorney general," Trump said in the Rose Garden on Tuesday when asked if he will fire Sessions or ask him to resign. "But we will see what happens. Time will tell, time will tell." New White House communications director Anthony Scaramucci spoke out Tuesday on President Trump's publically slamming Jeff Sessions, saying it's "probably" accurate to say Trump wants Sessions out as U.S. attorney general. Many Republicans -- including Sen. Lindsey Graham, Sen. Ted Cruz and Sen. Marco Rubio -- have rushed to defend the former U.S. senator from Alabama's side amid this public rift.